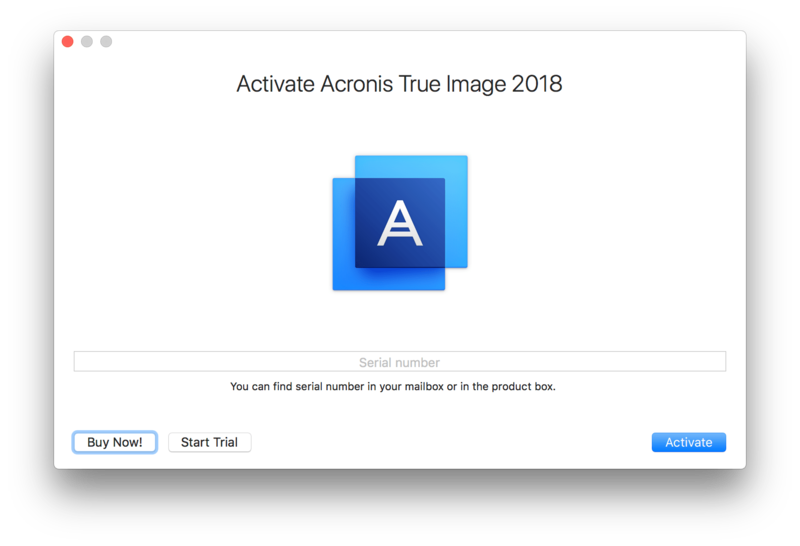 https://www.acronis.com/en-us/support/trueimage/2018mac/. To install, download it and then open the zip. 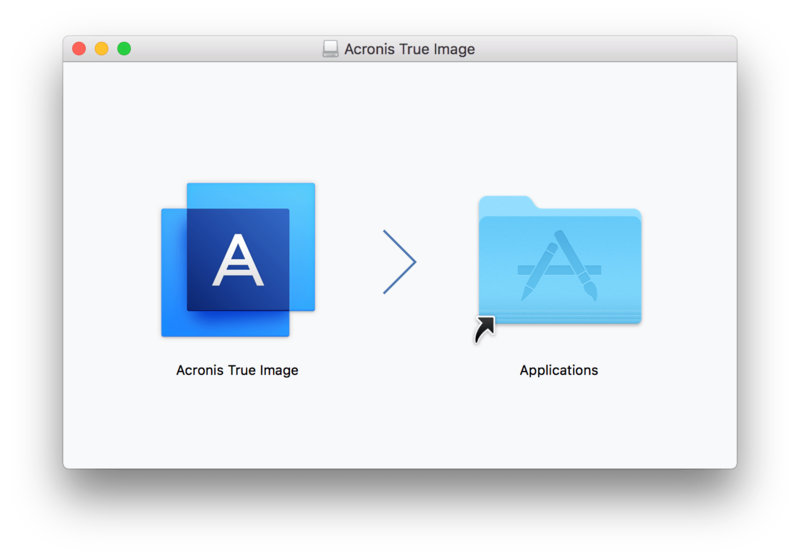 Drag the Acronis True Image application to your /Applications directory. 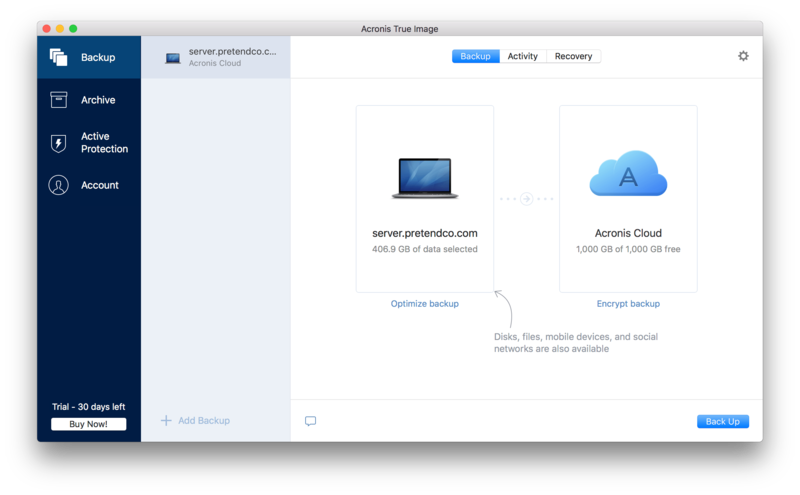 Then open Acronis True Image from /Applications. 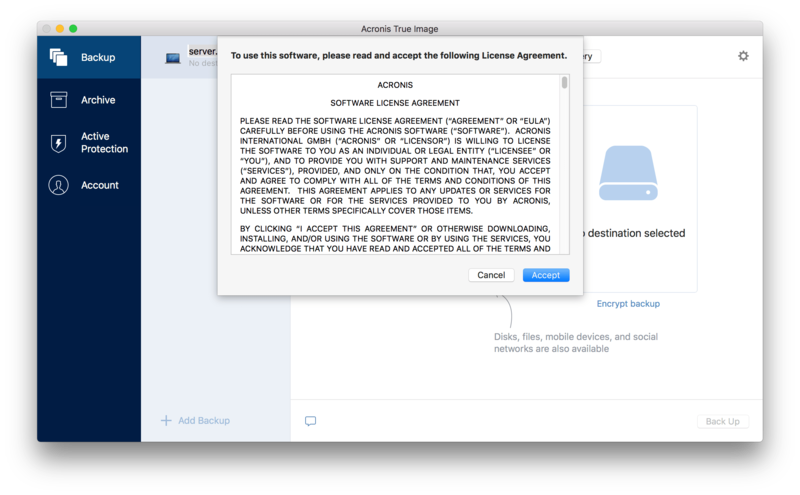 The first time you open it, you’ll be prompted to access the licensing agreement. 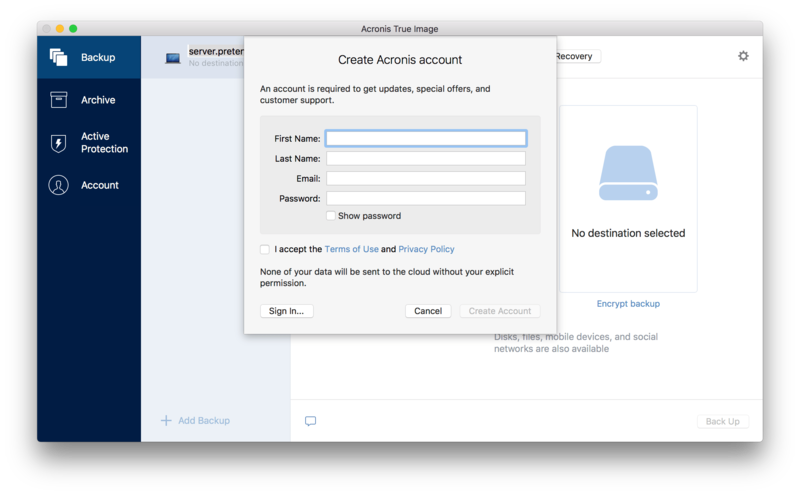 Once accepted, you’ll be prompted to create an account with Acronis. Provide your credentials or enter new ones to create a trial account. At the activation screen, provide a serial or click Start Trial. At the main screen, you’ll first want to choose the source (by default it’s the drive of the machine) and then click on the panel to the right to choose your destination. 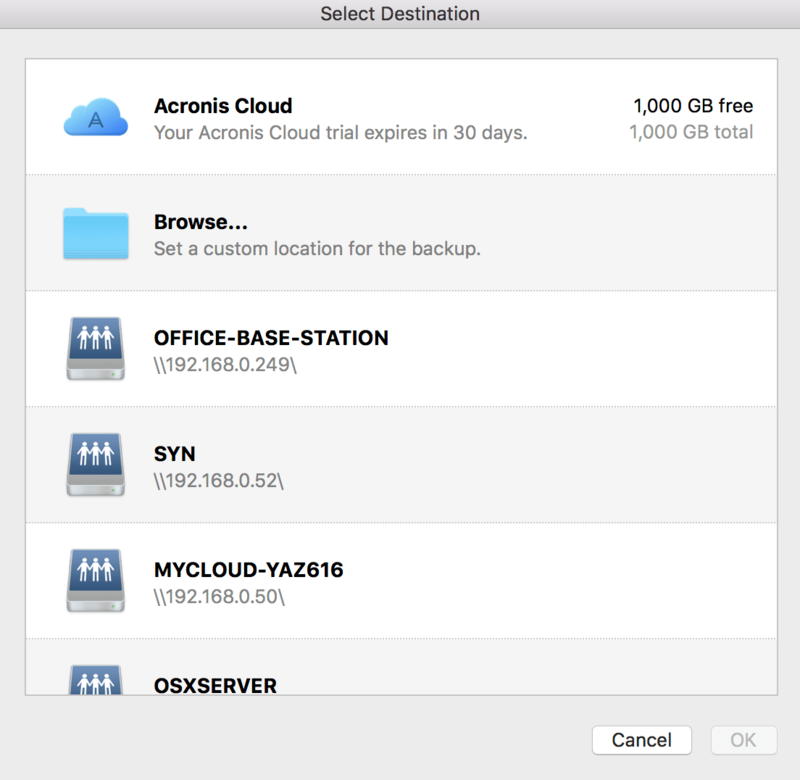 For this example, we’re going to use the Acronis cloud service. Click on the cog wheel icon at the top of the screen. 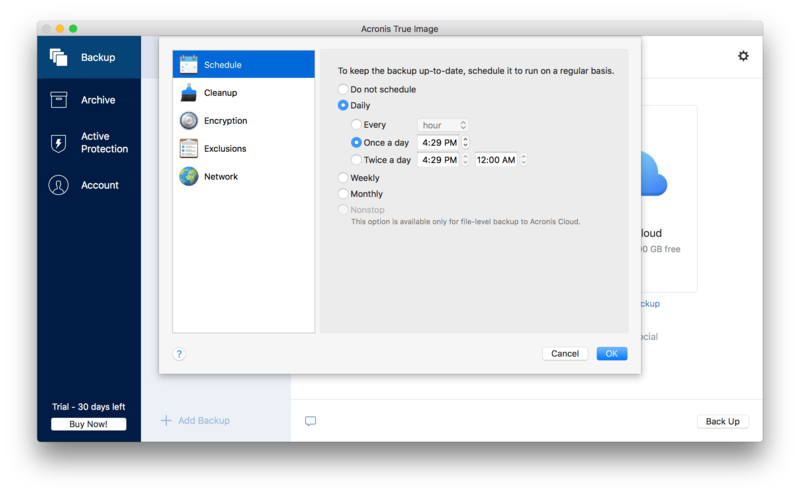 Here, you can set how and when the backup occurs. Click Schedule. At the schedule screen, select the time that backups will run. 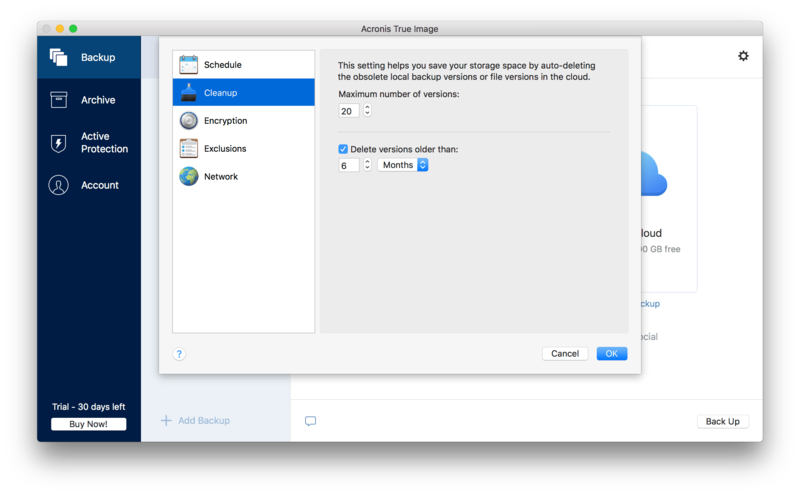 Note that unless you perform file level backups, you can’t set the continual backup option. For that, I’d recommend not doing the whole computer and instead doing directories where you store data. Click on Clean Up. Here, you’ll define your retention policies. How many backups will you store and for how long. Click Encryption. Here you’ll set a password to protect the disk image that stores your backups. The disk image can’t be unpacked without it, so don’t forget the password! Click on Exclusions. Here, use the plus sign icon to add any folders you want skipped in the backups. This could be stuff you don’t need backed up (like /Applications) or things you intentionally don’t want backed up. Click Network. Here you can throttle the speed of network backups. We’ll skip this for now. Now just click on the Back Up button to get your first backup under way!